Last week’s Legend Rare Coin Auctions Regency Sale 28 was highlighted by the Konstantine Collection, the #1 PCGS Registry Set of Capped Bust Half Dollars (1807-1836). 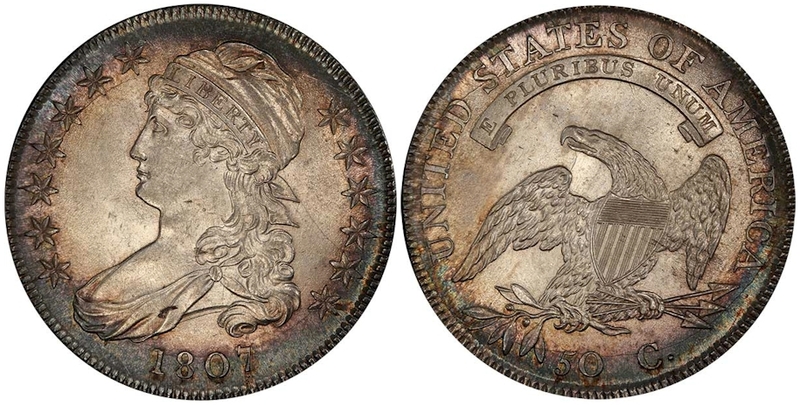 The top grossing coin from this collection was the 1807 Bust Half Dollar in PCGS MS65 CAC which realized $188,000. This is the Ex-Col. Green/Eric Newman coin and is the second finest known for the variety behind the Pogue MS66. Prior to this sale, the Market value for the 1807 Bust Half Dollar in MS65 was $95,000. One of the most attractive coins in the entire sale was a 1958 Franklin Half Dollar in PCGS MS67+ FBL with the CAC sticker, which realized $129,250. 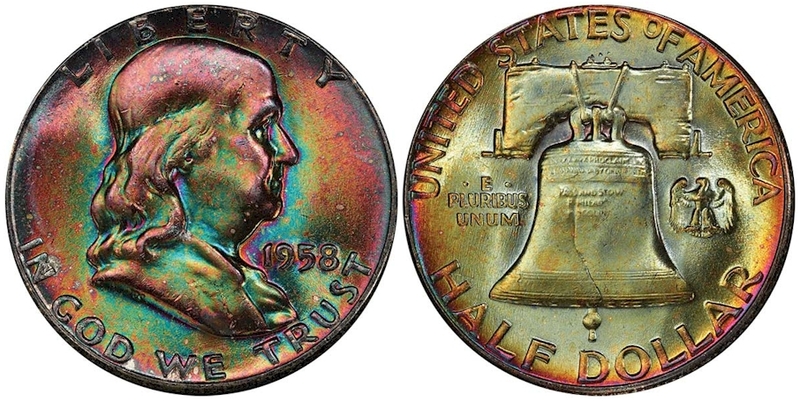 The cataloguer described this coin as “electric shades of killer neon (like violet/pearl green/raw blue) explode all over the obverse in a sparkly way.” The Market value for this date in MS67 FBL is just $2,550, but the eye appeal and a multitude of bidders brought a very nice final bid of close to $130,000. Listed below are some of the more notable highlights from the Legend Sale. 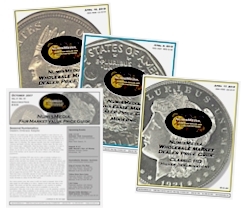 Morgan Dollars are showing signs of life with lots of trading at current levels. 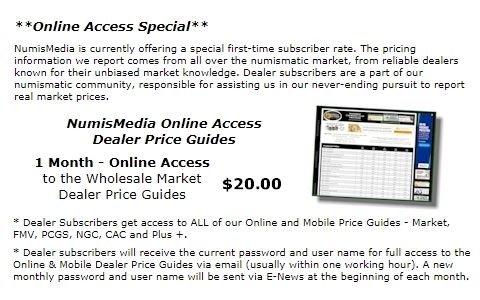 While there are plenty of declines in this week’s HD Wholesale Market Dealer Price Guide, at least coins are trading within a 10% range. Recently, many of these same dates went unsold at discounts creating the current lower levels. However, there are numerous increases for specific dates and grades in Morgan Dollars as dealers are trying to locate coins for their customers. The 1880 CC Reverse of ’78 in MS66 is up to $4,550 Market this week, and the 1883 CC in MS67 is higher at $3,000. Also on the rise is the 1891 CC in MS66, now at $17,350. The always popular 1895 PR Morgan is higher in PR65 at $65,000 Market. 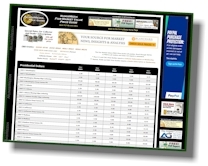 Today’s buyers are looking for solid coins for the grade; average coins will not work at current levels.